April 2014 | Silixa Ltd.
London, 14 April 2014 – Silixa Ltd announces the release of the XT-DTS™, the highest performance, ruggedised distributed temperature sensor currently on the market. Designed for remote and hostile environments, the unit collects extremely fine resolution data over a class-leading operating temperature range of -40°C to +65°C. 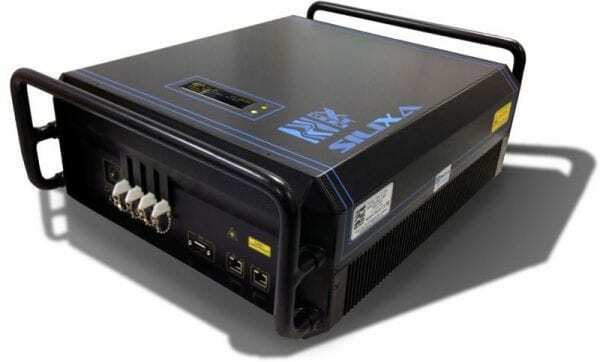 The XT-DTS, the latest addition to the company’s ULTIMA™ DTS family, is a low power DC-operated sensing unit that matches the superior performance and reliability delivered by the ULTIMA™ DTS. With its ruggedised nature, the XT-DTS offers a new level of insight into previously unobtainable data collected in the harshest of environments. The system can be configured and controlled remotely via a wireless or satellite link enabling remote data collection. It also contains a self-calibrating utility and on-board solid state storage. The unit comes with four channels with a sampling resolution of only 25 centimetres and spatial resolution down to 60 centimetres over a measurement length of up to 10 kilometres. The XT-DTS™ has a minimum measurement time of 5 seconds. It achieves a temperature resolution that is better than 0.1oC at 5 km in less than 3 minutes. This temperature resolution can be further improved to 0.01oC by employing longer measurement intervals.